A woman holds her newborn daughter, June 2013. Women of color experiencing perinatal mood disorders often suffer in silence and lack access to mental health care. Mental health stigma must be dismantled and key interventions implemented at the policy and community levels. According to the World Health Organization, pregnant and postpartum women experiencing severe forms of mental disorders may commit suicide.2 Perinatal mood disorders—including postpartum depression—can affect any woman, yet women of color often face life circumstances that increase their likelihood of experiencing perinatal mood disorders.3 Studies have shown that women of color experience postpartum depression at a rate of close to 38 percent compared with approximately 13 to 19 percent for all postpartum women.4 The racial disparity is vast and mirrors major gaps in both screening and treatment for mood disorders among women. Support comprehensive health care coverage under the Affordable Care Act (ACA), including mental health services and maternity care. Improve access to culturally competent and well-trained mental health care providers. Fully fund the MOTHERS Act. Support the integration of mental health screenings into other health care settings. Fund large-scale, culturally appropriate public education campaigns. Conduct additional research on perinatal mood disorders. Develop policies and education campaigns in a way that takes into account the lived experiences of pregnant and postpartum women of color. Educate health care providers, patients, and communities about the importance of mental health care access. Amplify and support women of color-led organizations. Support policies that improve work-family balance for women in the workplace. These actions are critical to helping ensure that pregnant and postpartum women of color can stop suffering in silence and can gain access to the necessary supports and services in times when they are experiencing perinatal mood disorders. If left untreated, perinatal mood disorders can be harmful to mothers and to the growth and development of their children. While women of all races, ethnicities, and socioeconomic backgrounds can experience negative maternal mental health outcomes, women of color often suffer simultaneously from distinct and multifactorial effects, which are outlined in this report. Pregnant women of color are underserved by the mental health profession and relevant support services.15 When perinatal mood disorders are left undiagnosed or untreated, the results can be deadly. Suicide is a leading cause of maternal death for women with postpartum depression.16 Women of color are typically unaware that the mental health symptoms they experience are the result of pregnancy or childbirth, which also means that the symptoms often remain unaddressed both by the woman and her medical provider. When women of color do access mental health care, the services and supports they find are often woefully inadequate.17 Women of color who have experienced postpartum depression report seeing health professionals yet remain undiagnosed, even after multiple visits.18 Some Asian American women have questioned whether or not the lack of diagnosis can be attributed to mythical perceptions about minorities.19 Studies have shown that although approximately 24 percent of Indian American women experience postpartum depression, most are misdiagnosed.20 Mental health care for women of color must be culturally sensitive and culturally appropriate. Large-scale educational campaigns reflecting the lived experiences of women of color are also needed to help them more easily recognize the symptoms associated with mood disorders. Black and Hispanic women who experience maternal depression have higher rates of adversities compared with their white counterparts.21 In a nationally representative study of the rates and risks of maternal depression in the United States, these adversities include poverty, employment issues, issues related to personal relationships, and marital problems.22 In addition, adversities such as racism and gender discrimination have been reported by black and Hispanic women. Women of color are also more likely to report experiencing workplace discrimination.23 These women often feel that disclosing a mood disorder could increase the risk of losing a job. Black and Hispanic women also experience a gender wage gap, making 63 cents and 54 cents, respectively, to every dollar earned by white men.24 Facing racism and gender discrimination in the workplace, in the health care system, and in broader society negatively affects the mental and physical health of women of color while also inhibiting their financial independence. Furthermore, women of color tend to work in jobs that lack structural supports,25 such as paid sick days, paid family leave, and flexible scheduling—all of which are crucial for maintaining one’s mental and physical health and well-being. Without access to these supports, women of color disproportionately lack the time and flexibility required to regularly attend doctor’s appointments, which can be critical for addressing mood disorders. Women in this situation have to choose between neglecting their health because they lack access to these supports—potentially exacerbating health concerns—or losing pay or their jobs as a result of taking time off. 26 Racism—including both overt and covert forms as experienced through structures or institutions—can also affect the mental health of women of color and have a negative impact on pregnant and postpartum women. These conditions can make it extremely difficult for women with mood disorders to parent. Black women experience higher rates of depression compared with the general population.27 This is particularly troublesome considering the pervasive stigma around mental health in the black community.28 Mental health stigma often deters black women from seeking much-needed treatment and support services29—that is, if their symptoms are recognized or diagnosed in the first place. When women experience acute and chronic life stressors during pregnancy, mood disorders can arise. For a host of reasons, single black women are particularly vulnerable to these stressors. Black women are more likely to be the primary or sole head of household, and 72 percent of black mothers are single.30 The added stress of running a household increases the likelihood that single black women will experience postpartum mood disorders.31 In fact, the reported rate of depressive symptoms for single black mothers is six times that of the general population and double the reported rate for black women in general. Issues such as poverty, racism, and gender discrimination are proven factors that can lead to severe depression among black women.32 Increased exposure to violence and trauma—which can begin as early as childhood—can increase the likelihood of perinatal mood or anxiety disorders for black women.33 Due in part to a lack of awareness of these disorders, black women are also less likely to recognize and report symptoms for mood disorders, which translates into lower rates of mental health care utilization.34 Black women are half as likely to receive mental health treatment and counseling as white women.35 They are one of the most undertreated groups for depression in the United States. Because of strong black woman syndrome,41 black women often appear calm and controlled in times of extreme adversity. Efforts to dismantle the stigma and shame associated with mental health must be a priority within communities of color, and professional mental health care should be promoted and supported. Better support for mental health screening and treatment is drastically needed, especially for single black mothers who tend to experience high levels of depression. Praying and attending church can be part of a broader, more comprehensive approach to addressing mood disorders—one that also includes social and emotional support from trusted friends and family as well as professional screening and treatment. Additional research is needed in order to determine how strong cultural and religious foundations can play a positive role in addressing the mental health needs of black women. Under the Affordable Care Act (ACA), maternity care and mental health services are part of the package of essential health benefits (EHBs).42 Despite several failed attempts to repeal the ACA and undermine access to these vital services, their coverage is still required under the current health care law.43 Attempts to repeal the ACA also took aim at the Medicaid program—both the ACA’s expansion and traditional Medicaid—which is a lifeline for low- and middle-income women. Medicaid covers nearly half of all births in the United States and provides many women of color with health care coverage.44 While mental health screening remains an important aspect of the EHBs supported by the ACA, more work needs to be done in order to ensure the accessibility, availability, and affordability of mental health care. While the ACA is still the law of the land, President Donald Trump recently issued an executive order aimed at sabotaging the health care law.49 The order would eliminate cost-sharing reduction payments for low- to moderate-income Americans, roll back protections for people with pre-existing conditions, contribute to the destabilization of the insurance market, and support junk insurance plans with minimal health care coverage.50 On October 27, the Department of Health and Human Services released a proposed rule that would undermine coverage of EHBs, such as mental health services or maternity care, by allowing states to offer bare-bones EHB-benchmark plans with limited benefits.51 The Trump administration has also substantially decreased funding for advertising, promotion, and outreach during the 2017 open enrollment period and has drastically shortened the open enrollment period.52 These changes are designed to undermine access to affordable and comprehensive health care coverage for women of color, who may be in need of mental health screenings and treatment. Since passage of the ACA, uninsured rates among women of color have significantly decreased. However, single mothers, low-income women, women of color, and immigrant women are still most likely to be uninsured.53 Consequently, these groups of women are most likely to lack access to vital health care services—including mental health services and pregnancy-related care—and are at increased risk of suffering from poorer health outcomes. Any policy change that would repeal or undermine the current health care law would have a disproportionate effect on access to and affordability of mental health care for women, and particularly women of color. 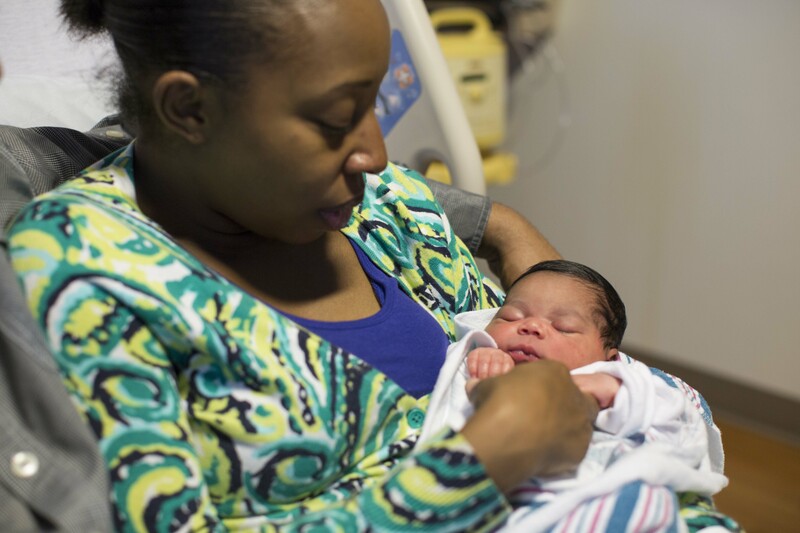 The following recommendations outline a multifactorial approach for policymakers, health care providers, researchers, and advocates to better address perinatal mood disorders, including postpartum depression, among pregnant and postpartum women of color. Support comprehensive health care coverage under the ACA, including mental health services and maternity care as parts of EHBs, as well as robust support for the Medicaid program. Improve access to culturally competent, well-trained mental health care providers for underserved communities, particularly single mothers, low-income women, women of color, and immigrant women. Fully fund the MOTHERS Act, which includes solutions for making maternal mental health treatment more affordable and accessible and for emphasizing the unique needs of women of color. Support the integration of mental health screening into other health care settings for pregnant and postpartum women, as recommended by the USPSTF. Fund large-scale, culturally appropriate public education campaigns that help women recognize their symptoms and empower them to seek the help they need. Conduct additional research on perinatal mood disorders, taking into account the lived experiences of women of color and including information on the immediate and long-term impact on both women and children of color. Develop policies and education campaigns that take into account the lived experiences of pregnant and postpartum women of color as well as the ways that racism and gender discrimination impact their mental health and well-being. Educate health care providers, patients, and communities about the importance of access to and utilization of mental health care among women of color. Support culture shift efforts aimed at dismantling the strong black woman syndrome. Amplify and support women of color-led organizations that are working at the forefront to ensure access to mental health care and maternal justice. Support policies that would improve work-family balance for women in the workplace, including the expansion of access to paid sick days; paid family and medical leave; and fair scheduling. Pregnant and postpartum women of color are at higher risk for mood disorders and need accessible, affordable, and culturally appropriate mental health care. Symptoms associated with depression, anxiety disorder, and other mood disorders experienced during and after pregnancy are largely underreported by women of color. The ACA has helped make maternity care and mental health services more accessible and has supported integration with other health care services. This has been important in helping to destigmatize mental health and improve maternal and child health outcomes. Additional work, however, is drastically needed. Approaches to addressing mood disorders among pregnant and postpartum women of color must not only focus on health care delivery, public education, and research; they must comprehensively address the primary sources of stress and adversity in the everyday lives of women of color—both overt and covert forms of racism. Jamila Taylor is a senior fellow at the Center for American Progress. Christy M. Gamble is the director of health policy and legislative affairs at the Black Women’s Health Imperative. *Authors’ note: These interviews have been edited for clarity. They were conducted by the authors on the following dates: Kay, November 8, 2017; Timoria, November 9, 2017; LaShonta, November 9, 2017.